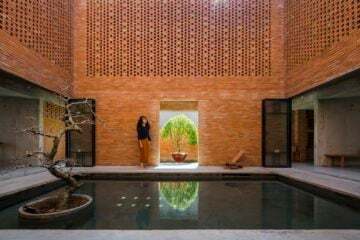 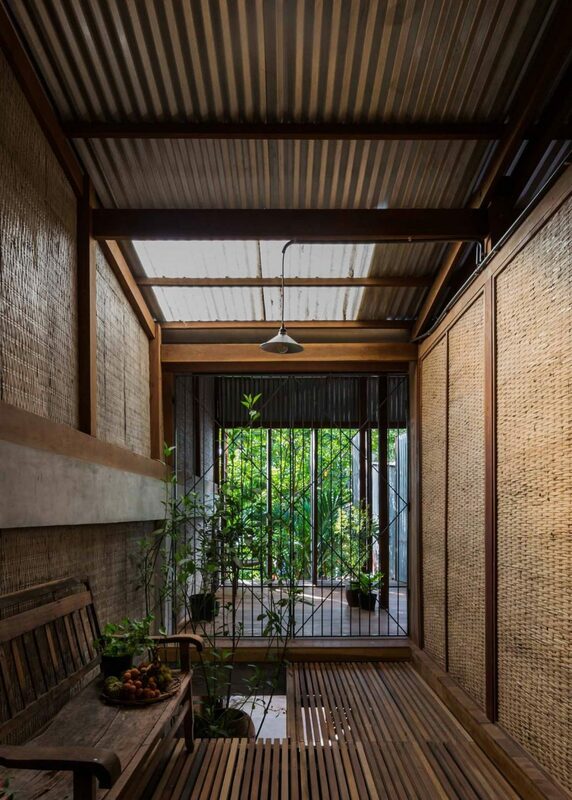 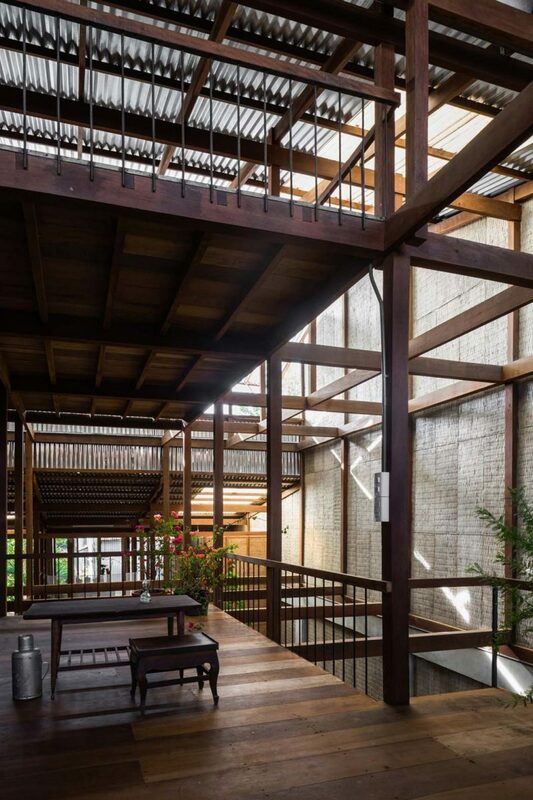 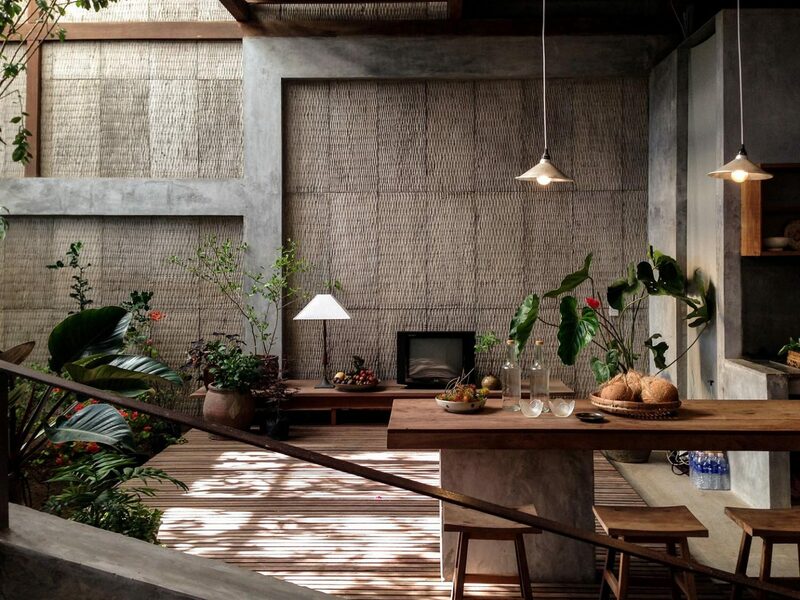 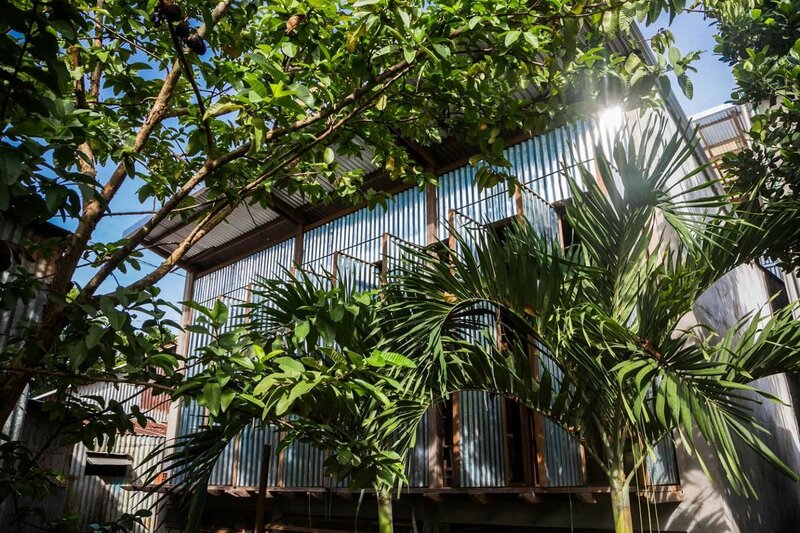 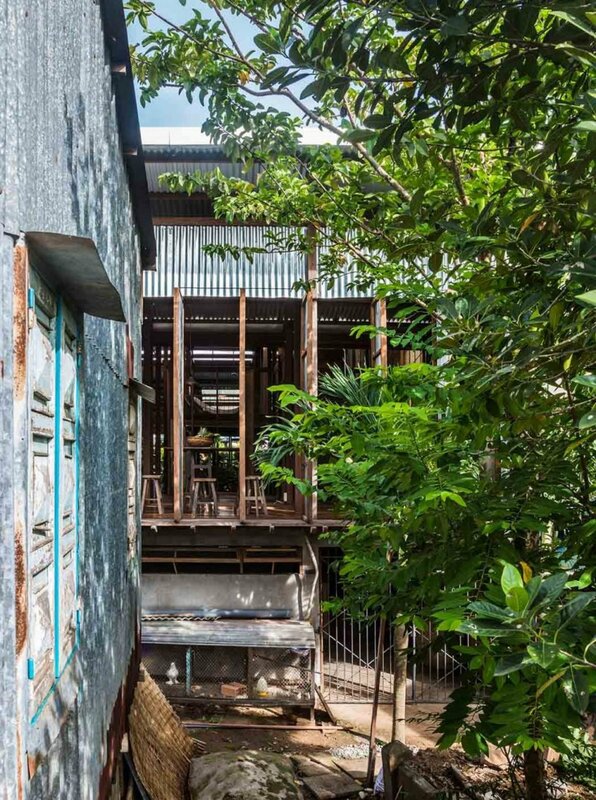 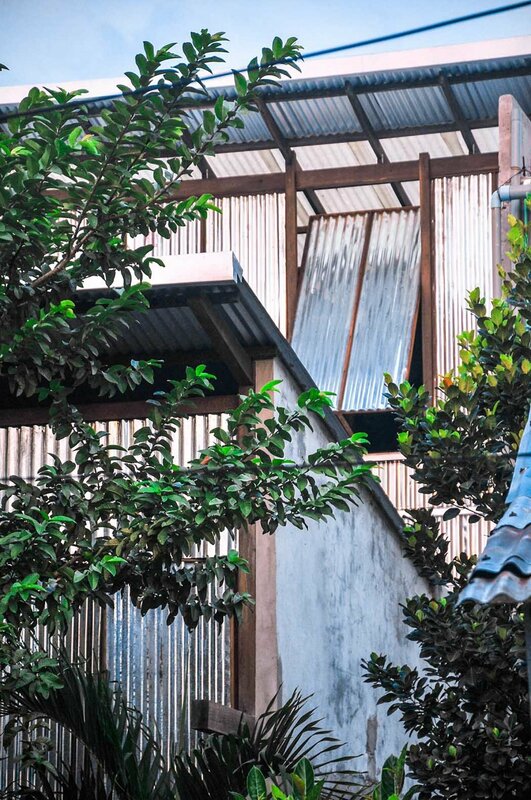 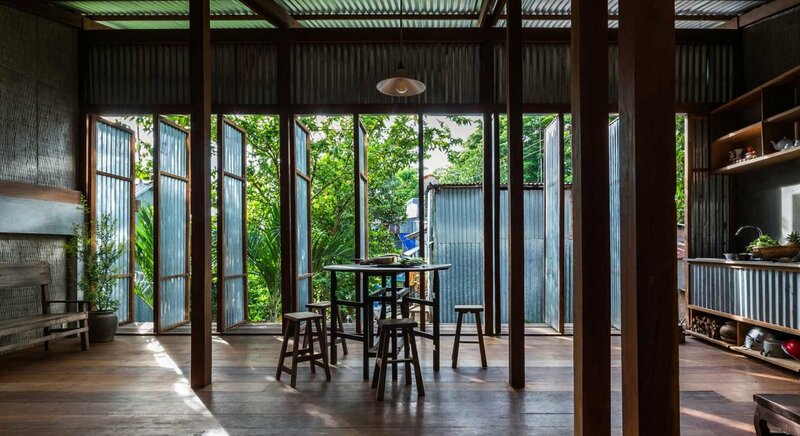 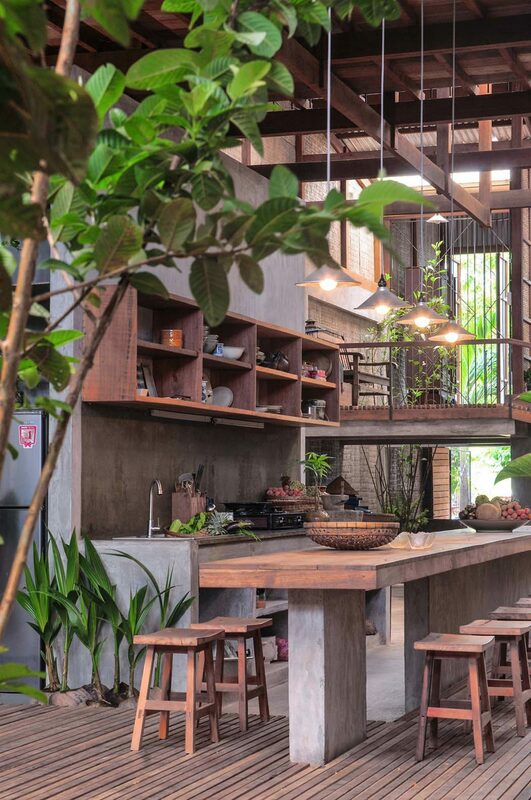 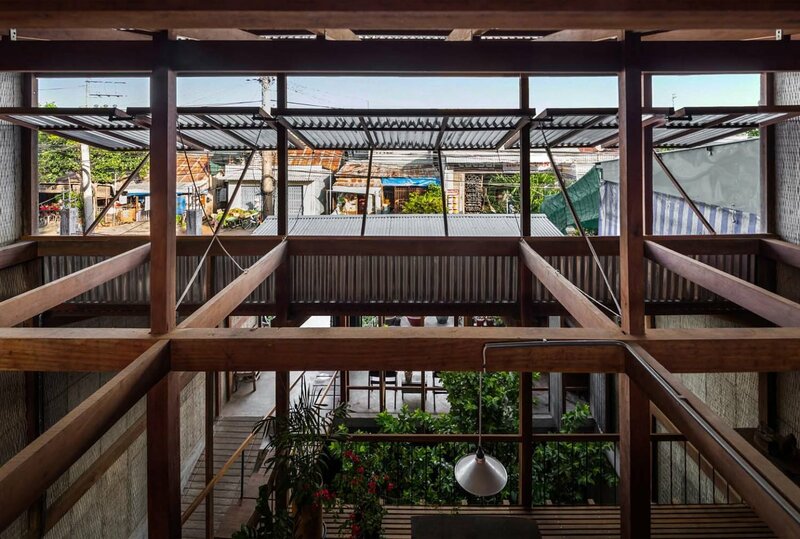 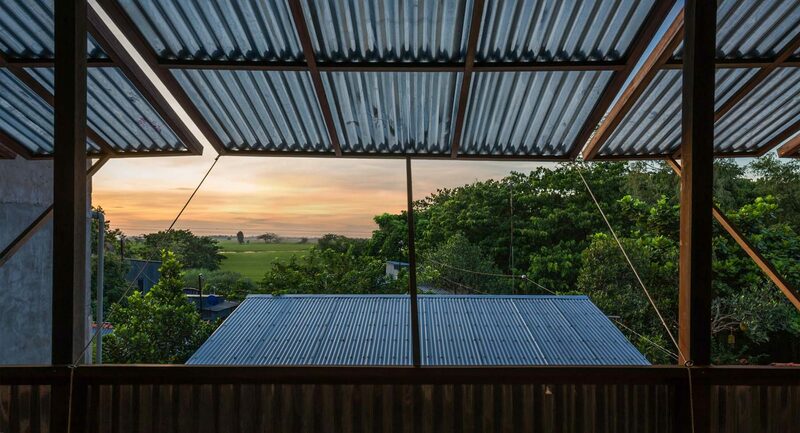 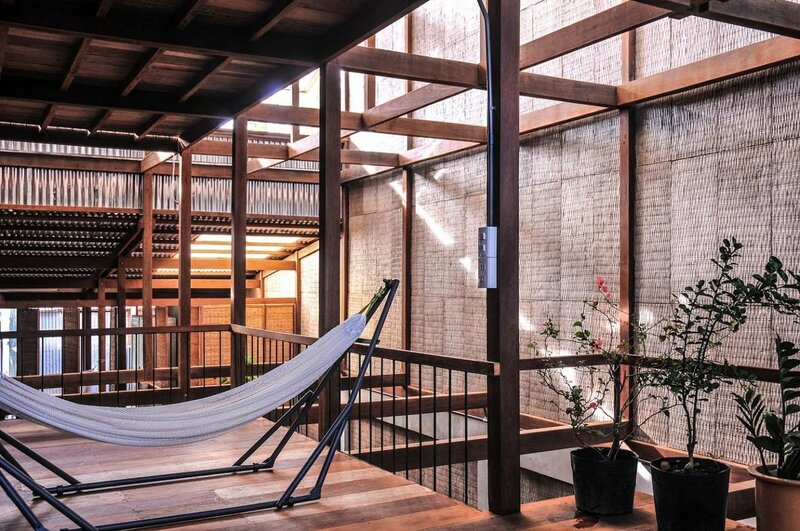 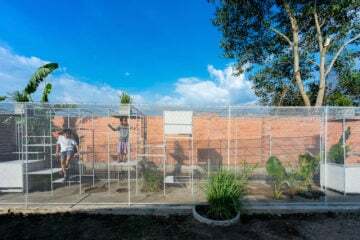 This residence in Chau Doc, a town in Southern Vietnam by the Cambodian border, was designed to provide a shared home for three couples and their children. 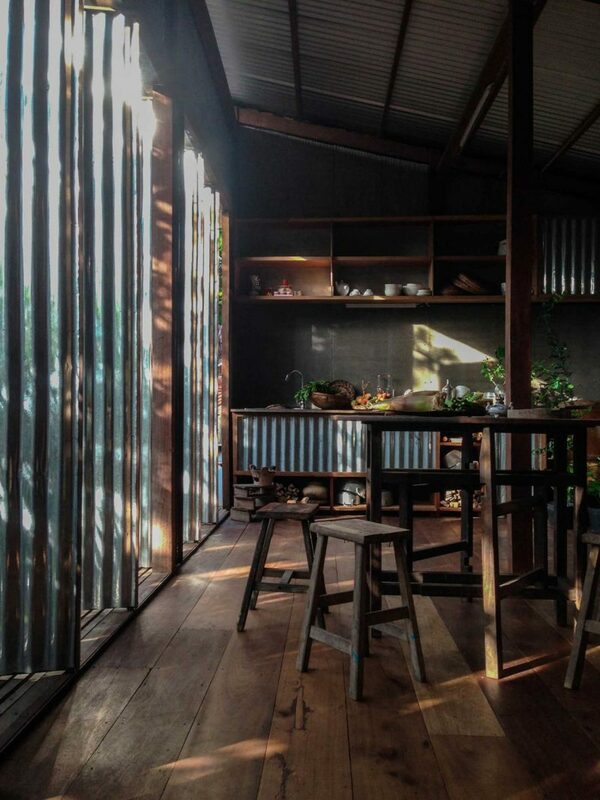 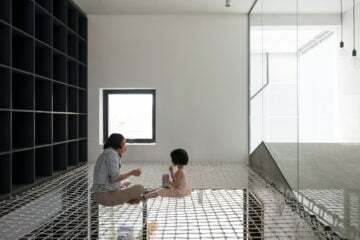 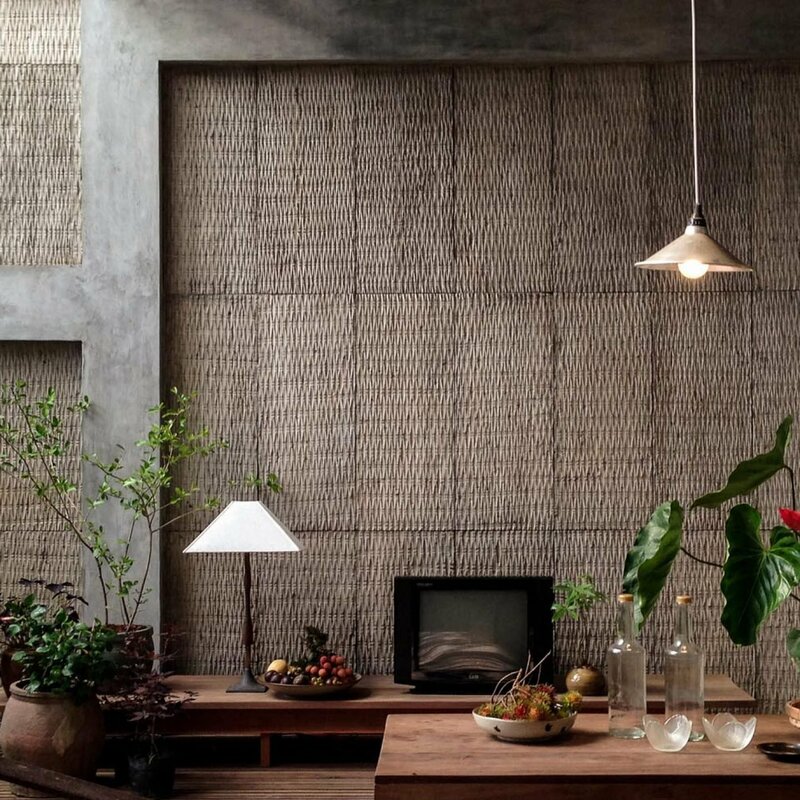 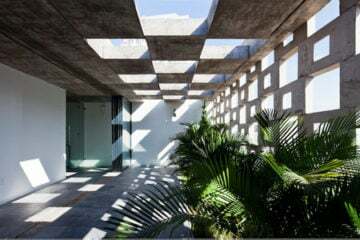 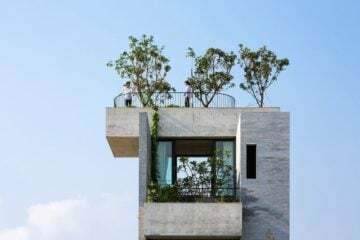 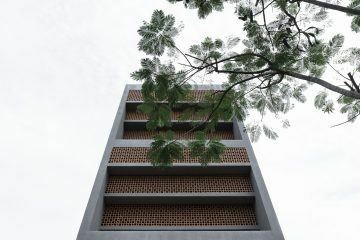 The project was constructed by Nishizawa Architects, a Saigon-based architectural studio founded by Shunri Nishizawa. 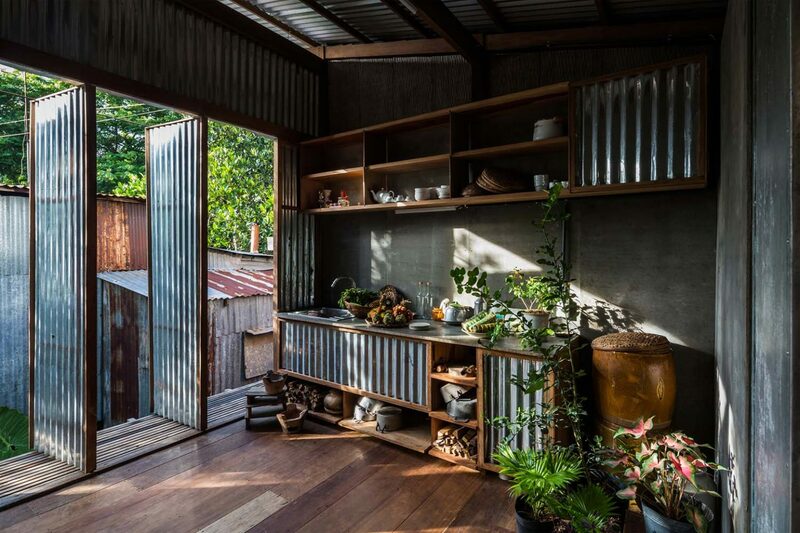 Following local regulation, the budget was tightened and the home was to be built with thin corrugated metal panels. 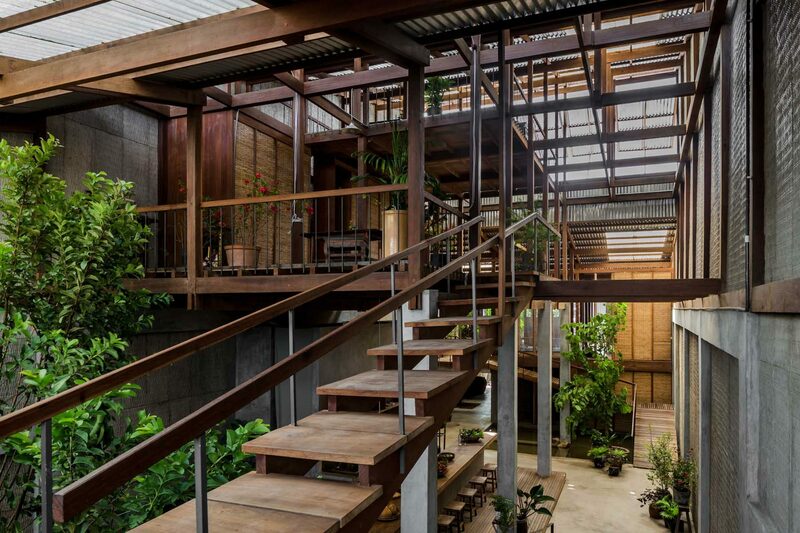 Nishizawa Architects celebrated these requirements and invited them into the home’s modern architecture, uutilizing the natural ventilation that this structure enables in the shared living space. 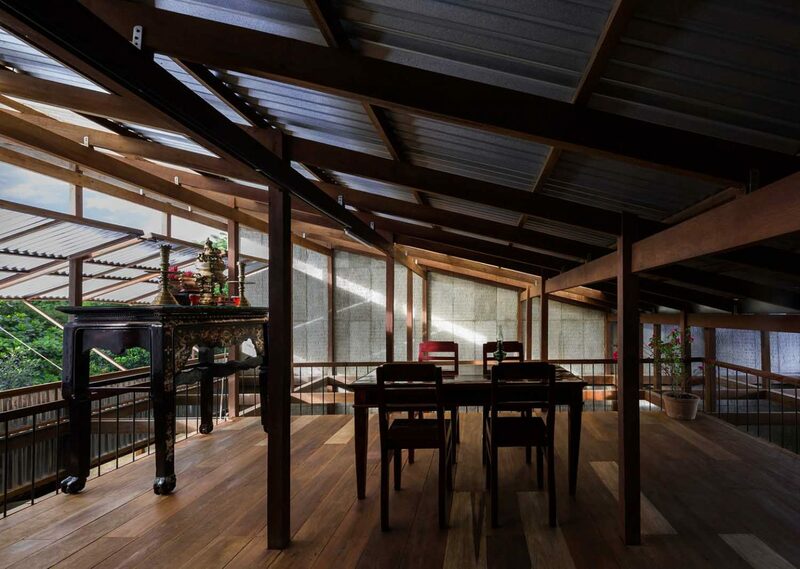 The residence initiates a dialogue with the surroundings, welcoming views of the nearby lake and rural landscape through rotating metal-frame windows and movable partitions, which establish a space that is always half outdoors. 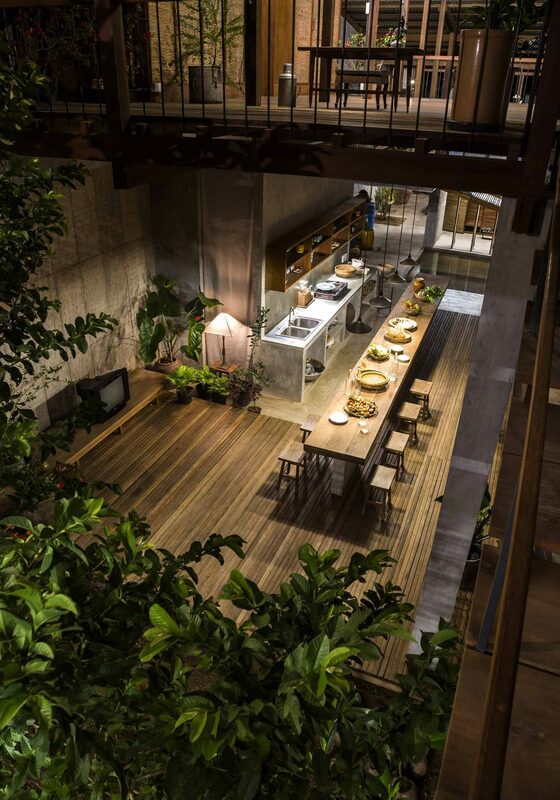 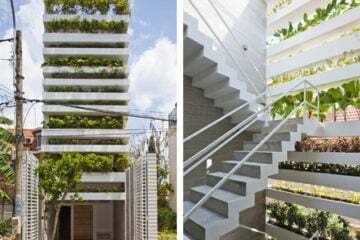 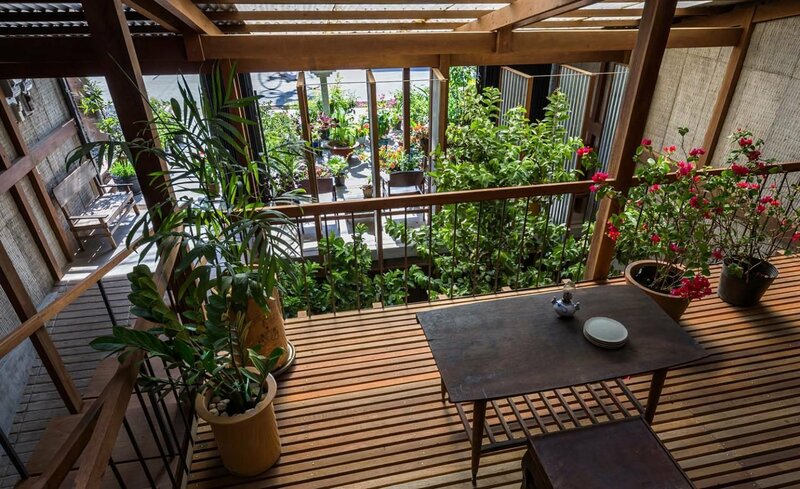 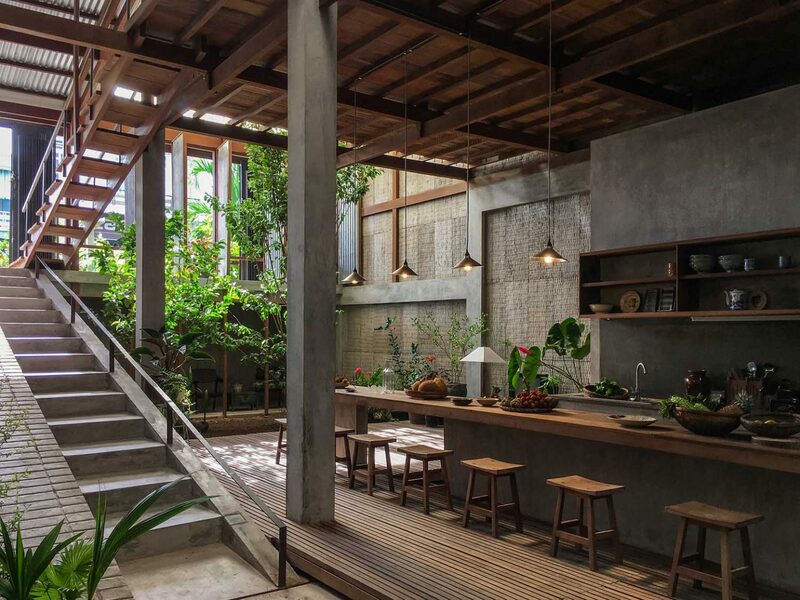 The home is flooded with sunlight, a natural breeze and features its own micro forest of plants and trees. 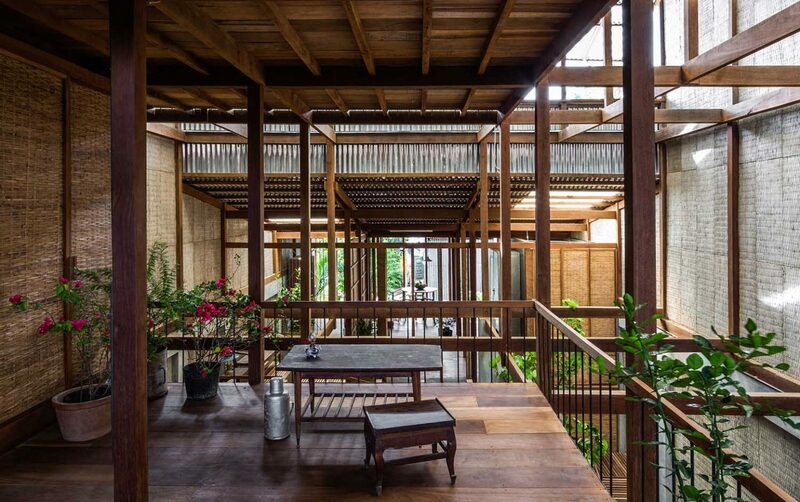 Locally-sourced timber and traditional carpentry techniques were implemented in the construction, which integrates regional customs into the contemporary build.